An arithmetic progression is such a sequence, in which each member, starting with the second, equal to the preceding member, folded with the same number d (step or difference in arithmetic progression). Most often in problems with arithmetic progressions are issues such as finding the first member of an arithmetic progression, the n-th term, the constant difference of the arithmetic progression, the sum of all members of an arithmetic progression. Let's consider each of these issues in more detail. 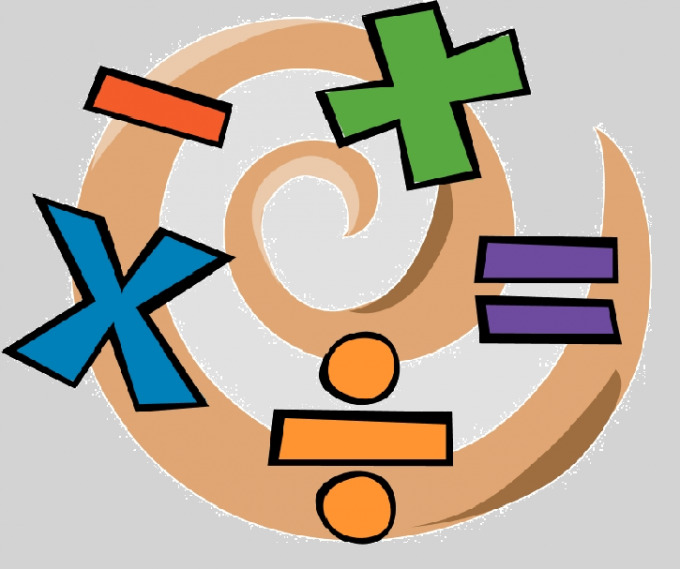 Ability to perform basic mathematical operations. From the definition of an arithmetic progression follows the following relationship between the neighboring members of the arithmetic progression, An+1=An+d, for example, A5=6 and d=2, then A6=A5+d=6+2=8. If you know the first term (A1) and difference (d) arithmetic progression, you can find any of its members, using the formula n-th term of an arithmetic progression (An): An=A1+d(n-1). For example, let A1=2, d=5. Find, A5 and A10. A5=A1+d(5-1)=2+5(5-1)=2+5*4=2+20=22, and A10=A1+d(10-1)=2+5(10-1)=2+5*9=2+45=47. Using the preceding formula to find the first member of an arithmetic progression. Then A1 will be the formula A1=An-d(n-1), that is, if we assume that A6=27 and d=3, A1=27-3(6-1)=27-3*5=27-15=12. To find the difference (step) of an arithmetic progression, you need to know first and n-th member of the arithmetic progression, knowing them, the difference of the arithmetic progression is given by d=(An-A1)/(n-1). For example, A7=46, A1=4, then d=(46-4)/(7-1)=42/6=7. If d>0, then the progression is called increasing if d<0 - decreasing. The sum of the first n terms of an arithmetic progression can be found by the following formula. Sn=(A1+An)n/2, where Sn - sum of n terms of an arithmetic progression, A1, An - 1-th and n-th member of the arithmetic progression respectively. We use the data from the previous example, then Sn=(4+46)7/2=50*7/2=350/2=175. If the n-th member of the arithmetic progression is unknown, but known to step the arithmetic progression and the number of the n-th term, then to find the sum of arithmetic progression, you can use the formula Sn=(2A1+(n-1)dn)/2. For example, A1=5, n=15, d=3, then Sn=(2*5+(15-1)*3*15)/2=(10+14*45)/2=(10+630)/2=640/2=320. Any member of an arithmetic progression, starting with the second is the average of the previous and next member progression: An=(An-1+An+1)/2.